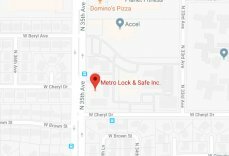 Scam Alert: Know Your Local Locksmith | Metro Lock & Safe Inc.
Posted on March 15th, 2016 by Metro Lock & Safe Inc.
Locksmith scams are on the rise. Locksmith scams are back in the news all over the country. KGW News in Oregon recently reported on the many complaints of unlicensed bait-and-switch locksmiths in the areas. As a result of this ongoing rise in locksmith scams we are re-posting this popular blog about the scams to look out for and ways to avoid them. In 2007 the BBB reported a 75% increase in companies perpetuating locksmith scams. These companies work out of locations all over the US under numerous aliases, creating an epidemic of untrustworthy locksmiths. 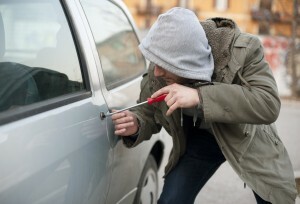 Since then, AARP has issued a more recent article reiterating the benefits of knowing your local locksmith in Phoenix. There are a few ways these scammers work. The first is by offering a respectable quote over the phone, preforming the service, and then significantly increasing the total bill. After the service has already been preformed it is easy for customers to feel they have to pay the charges. These disreputable locksmiths turn the intimidation level to high, making it difficult to argue with them. Once a service is complete and money is owed, the consumer feels helpless. On top of that, the locksmith literally holds the key. The second way these individuals scam innocent people is by saying there is more work necessary than is really needed. Look out for a locksmith who says the lock needs to be removed and replaced because it cannot be opened. When drilling and replacing a new lock is complete the $100 estimate often increases to $1,000. There are some tips to stay out of harms way with these unscrupulous folks. The easiest one is to know your local locksmith. Having already established a local locksmith you can trust before you need the services alleviates the entire concern. Short of that, here are some things you can do. No 800 numbers. Many scam locksmiths gain work through a 1-800 number that goes to a call center. Low estimates for the work are given and the locksmith is sent out. The locksmith does not work for this company, but generally pays for the referrals and works on his or her own. Check with the BBB. When you find a company check them out with the BBB before you call. Look for companies that are BBB accredited. Listen for a company name. Local, reputable locksmiths will answer their phone with a company name that can be crosschecked with the Better Business Bureau and online review sites. Make sure you hear it when you call. Look for the logo. Make sure the locksmith arrives in a van or truck with the company logo and is dressed in clothing with the logo. Get a written estimate and a receipt. Don’t allow extra services. If the locksmith cannot get a door open call another locksmith. Do not let him or her replace the lock.